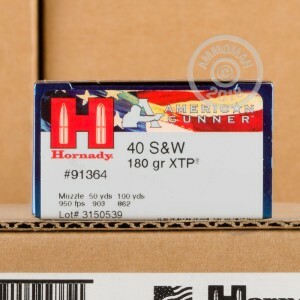 These 40 Smith & Wesson cartridges belong to Hornady's American Gunner line of self-defense cartridges and are priced to enable you to "shoot what you carry" at the range. 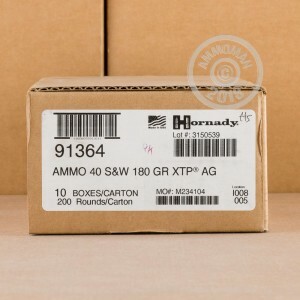 Each round in this box of 20 fires Hornady's tried and true XTP hollow point bullet at 950 feet per second out of the muzzle. 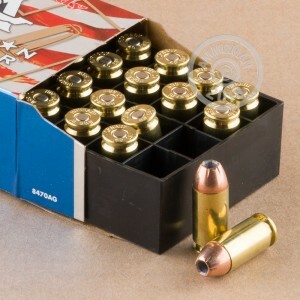 This unusually high velocity combined with the high-penetration capabilities of the XTP bullet make this a great round for the range or self defense.